You need the right rope if you expect to perform jump rope double unders. Yeah, you also need good technique to do jump rope double unders. Without the right rope at the right length, you will not endure the frustration required to succeed. 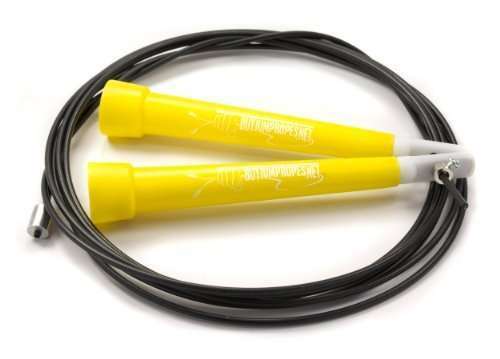 That’s why the jump rope double unders skill is unique only to those who are capable of learning the rhythm of this super skill. Performing jump rope double unders in rapid succession without missing is an incredible statement of skill and personal fitness. I have taught 4 and 5 year-olds to do jump rope double unders. 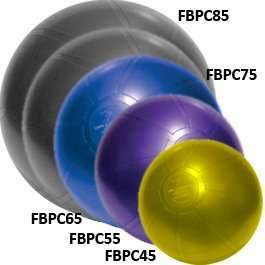 It is all about building a proper skills progression and making it fun. It doesn’t come easily so everyone knows it is pretty special and they all want it. 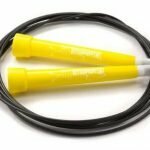 How bad do you want to do jump rope double unders? Enough to put in the time and sweat until you make it? If you are like most wannabes, chances are you will never break through the mental and physical barrier to jump rope double unders. Sorry, but there just aren’t that many of us doing jump rope double unders which makes us that much more special. Including the 4 and 5 year olds. Sold individually. Ultra Speed Ropes are made for indoor use only. DO NOT USE ON ABRASIVE SURFACES.